Milestone sessions are a lot of fun for a number of reasons and quite a bit different from a newborn photography session. First- mom and dad have had a chance to get used to life with baby. When the baby is 6 months old, a photo shoot seems a lot less intimidating than it did when baby was just 5 days old!! Babies are typically very interactive at 6 months and haven’t developed their fear of strangers just yet. From my perspective, they tend to smile and laugh fairly easy at the littlest things. Some of their favorites are fake sneezes, fake coughs, animal sounds, peek a boo, clapping for them, cheering for them and even something as simple as giving them your own big smile. While I tend to move slowly during newborn sessions, milestone sessions move at a much faster pace. Baby only has a certain window of time before he or she is ‘over’ the photo shoot. And as we all know by now, baby’s in charge! 😉 I find that they get worn out by about the 45 minute mark. We try to get a variety of poses and expressions fairly quickly so that baby doesn’t tire before we’ve gotten all of the looks we’re going for. We can typically squeeze out a few extra minutes, but we’ll be wrapped for sure after about an hour. I aim to have at least one outfit change during these sessions and we’ll use a variety of backgrounds and studio props. If baby handles clothing changes well and is giving us lots of expression throughout the session, we’ll try to get a third outfit in. I do have some beautiful and unique outfits on hand in the studio for my newborn, 6 month and 12 month sessions. These outfits are handmade specifically for baby photographers and they photograph beautifully. I encourage bringing a few options from home so that we have plenty of options and then using a combination of personal and studio-borrowed outfits for the session. 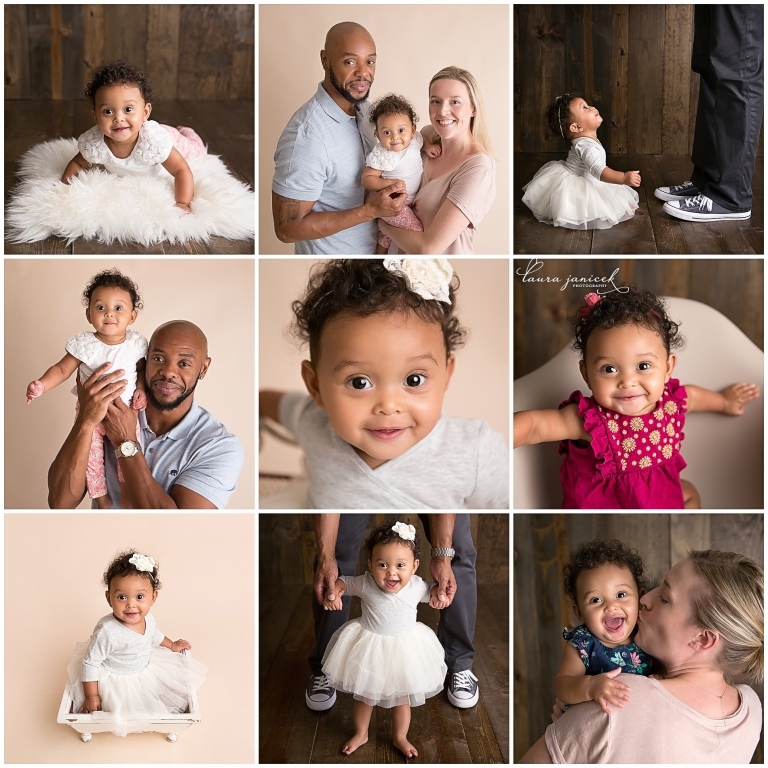 Are you looking for an experienced, specially trained and award-winning newborn or baby photographer in the Brentwood, Franklin and Nashville, TN area?